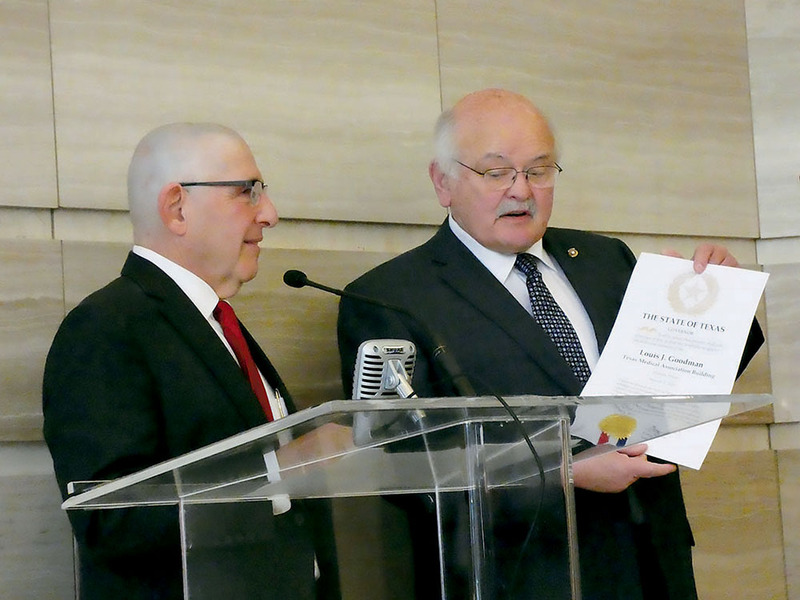 On March 5, in a building dedication ceremony, the 10-story Texas Medical Association building headquartered in downtown Austin on the corner of Guadalupe and 15th Street was renamed in honor of retiring CEO Louis J. Goodman, Ph.D. (a member of Temple Beth Shalom and Jewish Austin Men). Dr. Goodman has served as TMA’s executive vice president and CEO for the past 22 years, and has worked in the medical field for more than 45 years. TMA was established in 1853 to serve the people of Texas in matters of medical care, prevention and cure of disease and the improvement of public health. TMA is the largest state medical society in the United States, with more than 54,000 members representing physicians and medical students. The Texas Senate passed a proclamation recognizing Goodman for more than three decades of exceptional service and for his distinguished career with TMA. Flags were flown over the U.S. Capitol and the Texas State Capitol in recognition of the TMA building dedication in honor of Goodman. Lawmakers and physician leaders gave remarks at the ceremony, including Diana Fite, M.D., chair of TMA’s board of trustees; TMA President Doug Curran, M.D. ; U.S. Rep. Michael Burgess, M.D., R-Texas; and Texas Sen. Jane Nelson, R-Flower Mound. Dr. Fite opened the ceremony by recognizing the significance of this day. 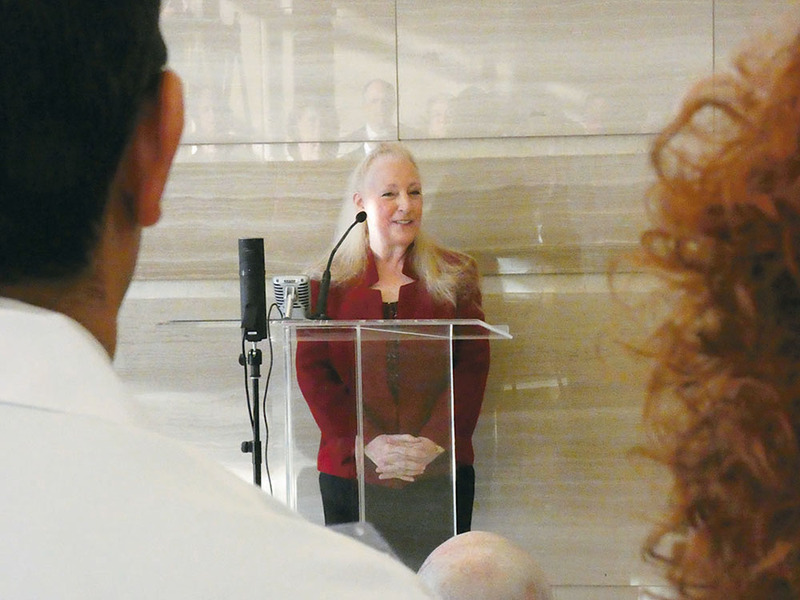 “Changing the name of this building to the Louis J. Goodman Texas Medical Association Building is both appropriate and meaningful,” Fite said. Recognition of Goodman’s achievements were entered in the Congressional Record by Burgess. State Senator and chair of the Senate Finance Committee, Nelson praised Goodman for his leadership in the passage of medical liability reforms. Dr. Curran presented Goodman with a proclamation from Governor Greg Abbott affirming that the TMA building will now be known as the Louis J. Goodman Texas Medical Association Building. Curran recognized Goodman for creating the professional, compassionate and caring culture of TMA. Following the heartfelt and powerful remarks of praise, admiration and friendship, Goodman approached the podium, with eyes welling up, to address the medical community. Texas Medical Association, Louis J. Goodman, Louis J. Goodman Ph.D.